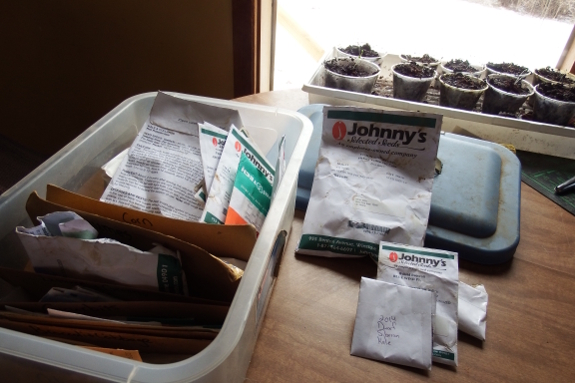 Before the Seed order comes the seed test to determine whether older packets still contain intact propagules. I ran some Germination tests the usual way, but I went ahead and put herbs, kale, and Lettuce in a flat for their trial. I figured these guys could be set out starting about a month from now under quick hoops --- not so long to nurture tender seedlings indoors. Sure enough, the lettuce passed with flying colors (72% germination --- not bad for uncontrolled conditions in a flat) and were potted up into little plastic cups five days after the test began. 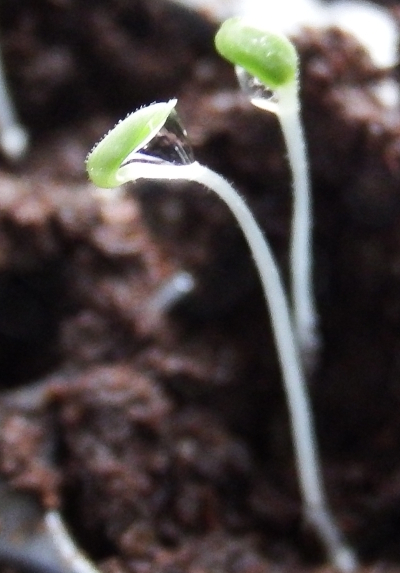 I'm still waiting on the slower sprouters --- they get one more week to attempt germination before I order replacements through the mail.